I was just saying this past winter, when I attended the very frosty but smokin’ hot Nathaniel Rateliff & The Night Sweats concert at Ford Park for Vail’s annual Snow Days season-kickoff celebration, that it would be great to see them under warmer circumstances. Now I’ll get a chance on Monday, Aug. 19, with Rateliff taking the stage as part of the Whistle Pig Vail concert series that kicked off last summer and brought us an awesome show by former Led Zeppelin front man Robert Plant. 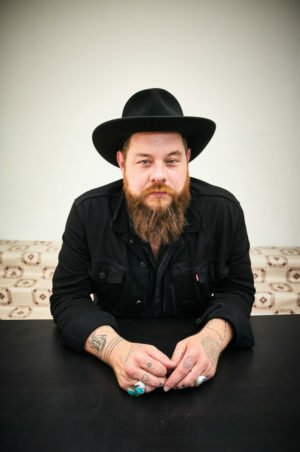 “It’s my pleasure to let you all know that Nathaniel Rateliff & The Night Sweats will be coming to the Ford Amphitheater as part of Whistle Pig Vail Aug. 19. We are extremely happy with this booking and hope you agree,” Vail Valley Foundation spokesman Tom Boyd wrote in an email on Monday. The doors at the Gerald R. Ford Amphitheater open for the Nathaniel Rateliff show on Monday, Aug. 19 at 6:30 p.m., and the show starts at 7:30 p.m. Tickets go on sale Friday, March 22 at 10 a.m. at www.whistlepigvail.com or can be charged by phone at (970) 845-8497. General admission and reserved tickets will cost $55 and $89.50, plus applicable service charges. All ages are welcome.